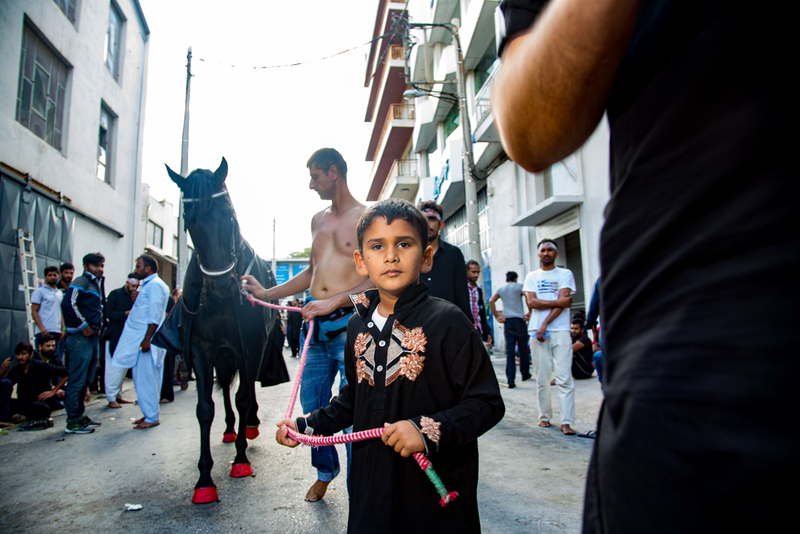 The union of the Shiite muslims in Pireus, Greece, is called Azakhana Gulzare Zainab (words; aza=mourning, Khana=place, Gulzare= Garden, Zainab= the name of Husayn sister) and it was founded in 2001. 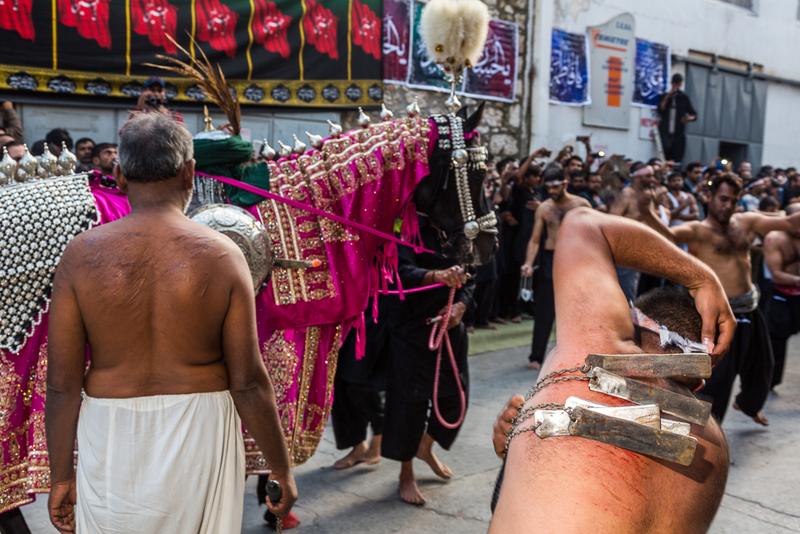 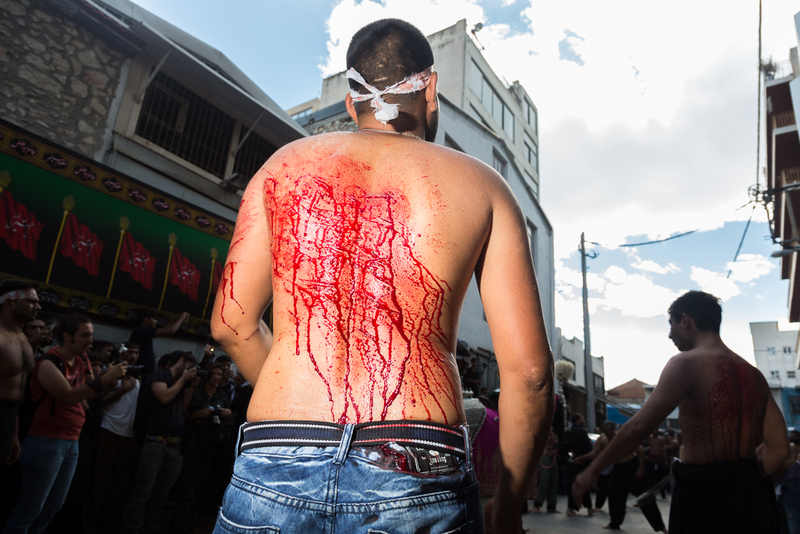 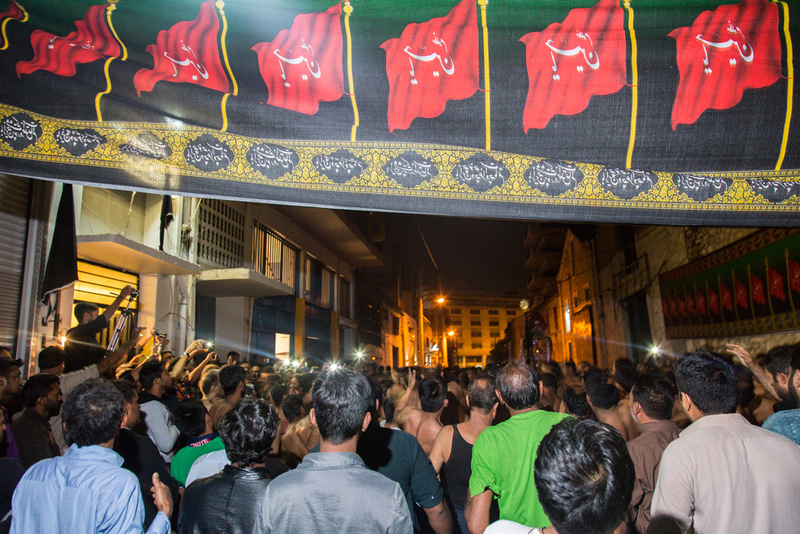 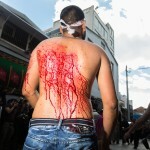 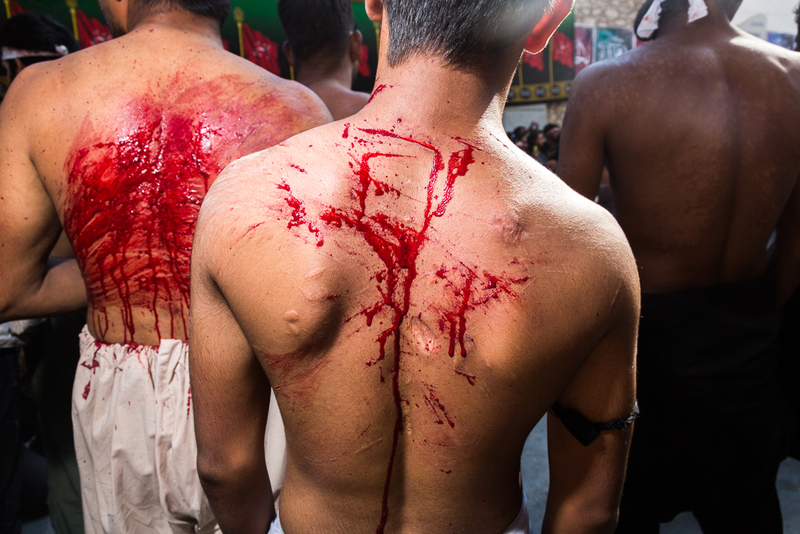 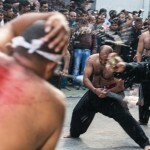 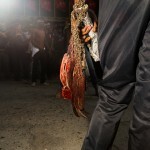 Since 2004 the Ashura ceremony is taking place in the street outside the union. 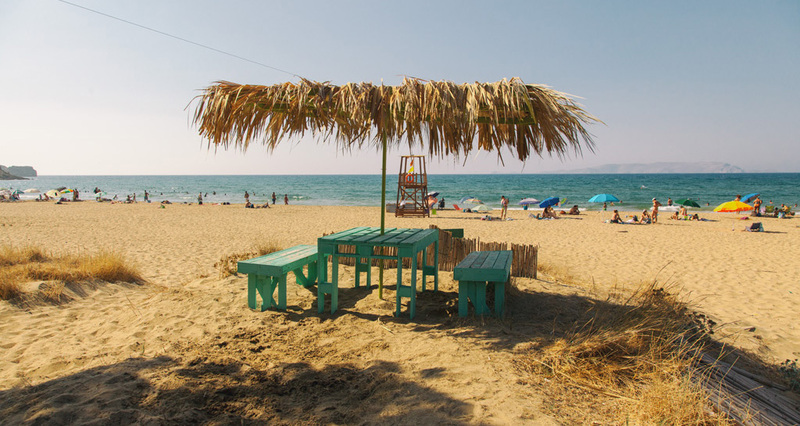 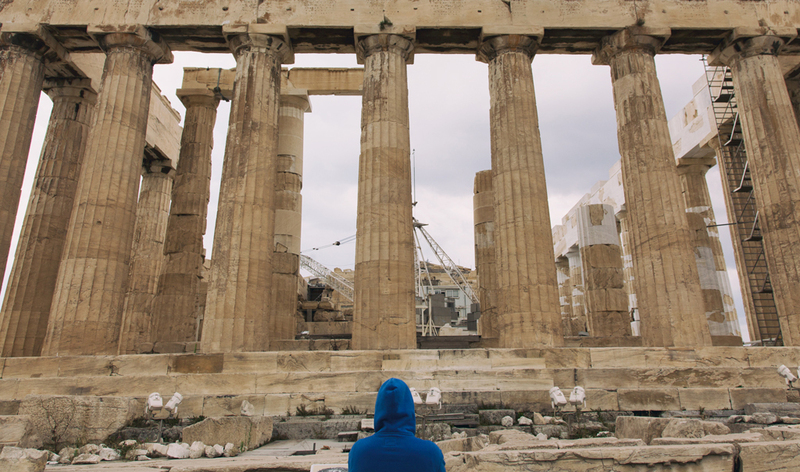 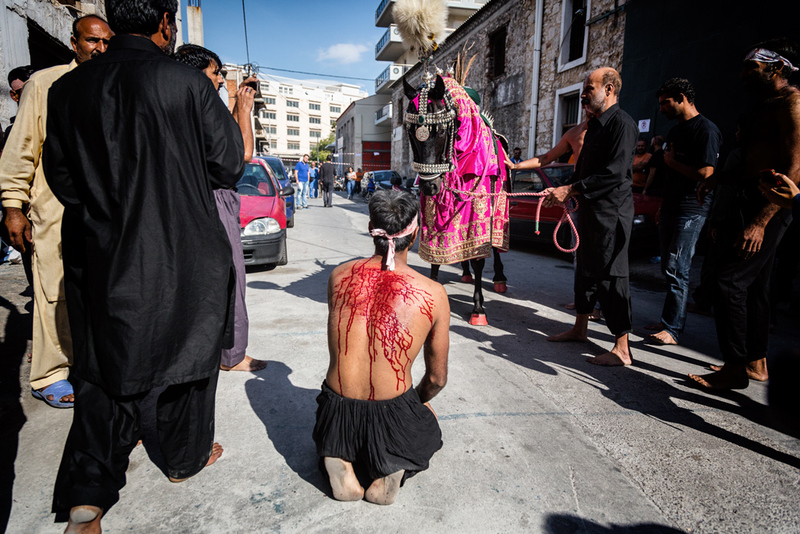 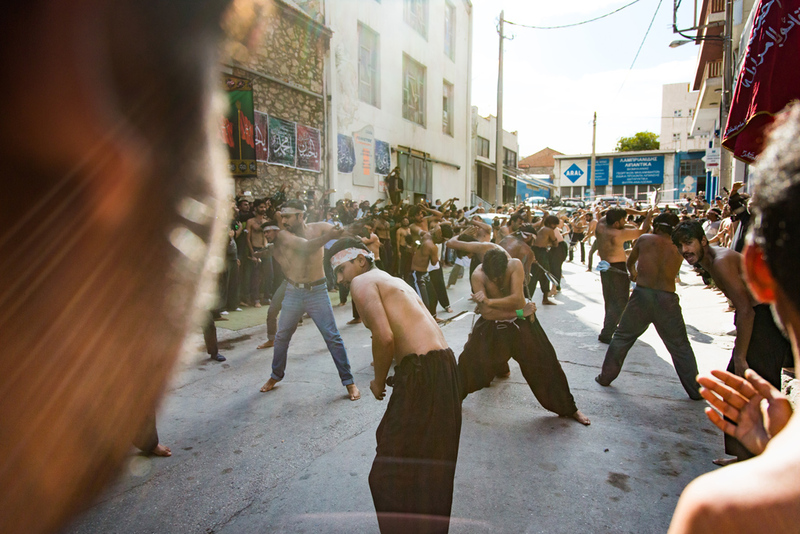 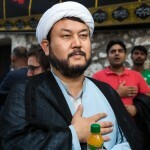 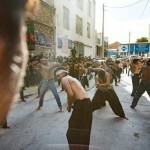 Shia muslims appreciate the municipality of Pireus, that allow them to honor and practice their ceremony, commenting that in many of their own nations, they are not allowed to do it. 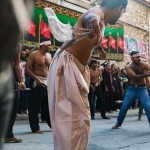 “Ashura”, from the arabic root “ashr” that means ten, is the tenth day of Muharram, the first month of the Islamic calendar. 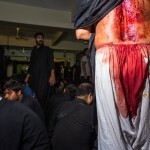 For Shia Muslims, Ashura marks the climax of the Remembrance of Muharram and commemorates the death of Husayn Ibn Ali the grandson of Muhammad at the Battle of Karbala. 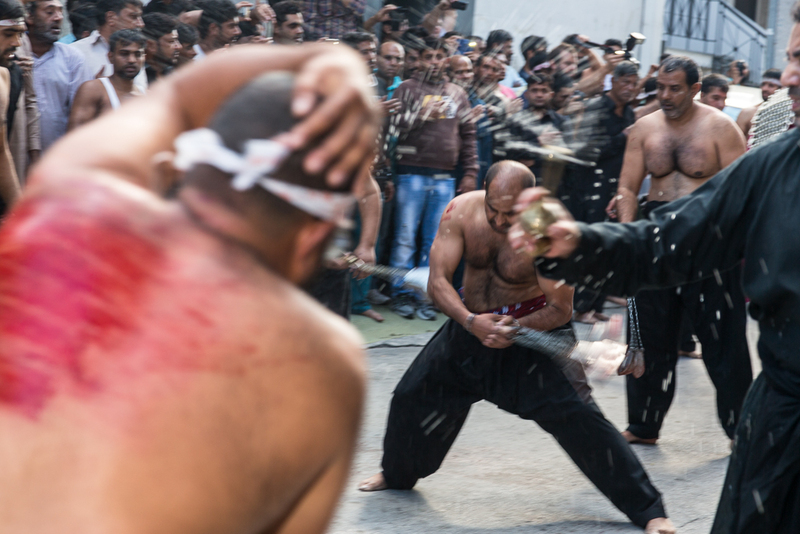 This battle, was fundamental for the differences between the Shuni and the Shia muslims. 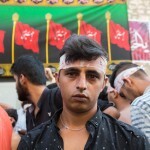 Shia muslims also want to divide themselves from the actions of the “islamic nation”, which they believe detract muslim religion, and as a minority they have first suffered from them in their own nations, but im no expert in this, you can use google for it and learn more, i was there to document the ceremony. 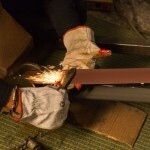 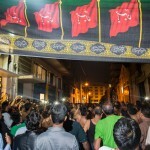 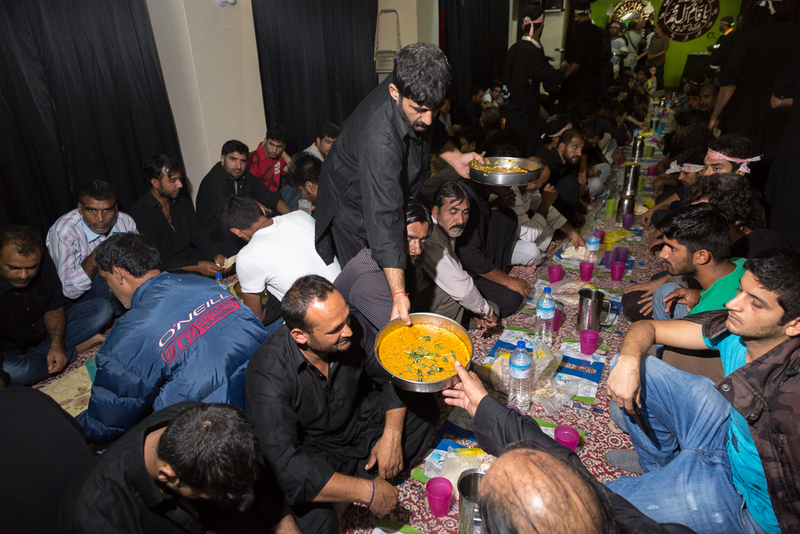 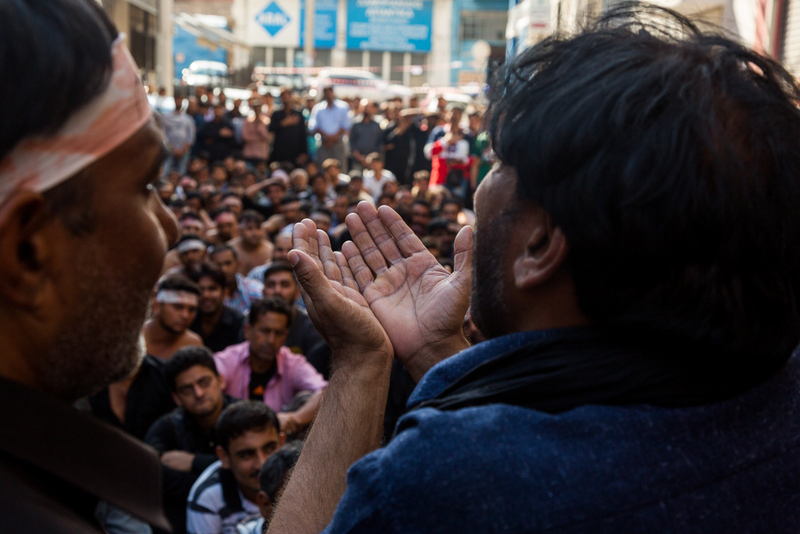 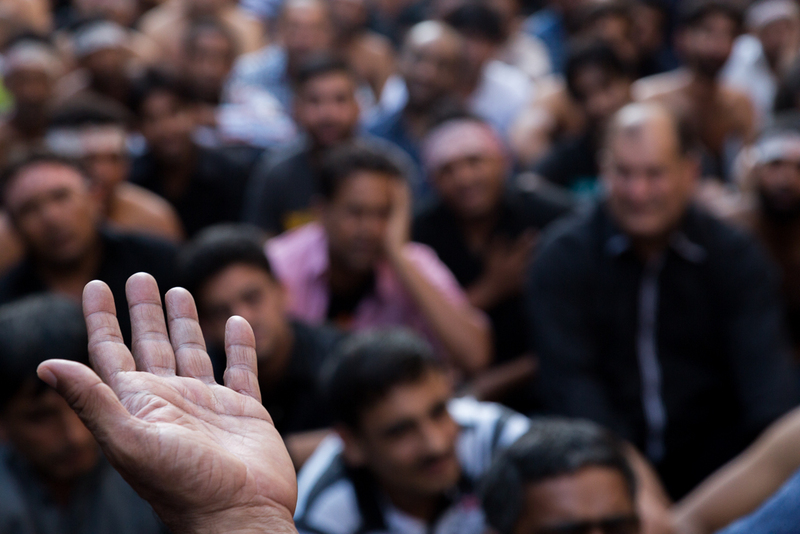 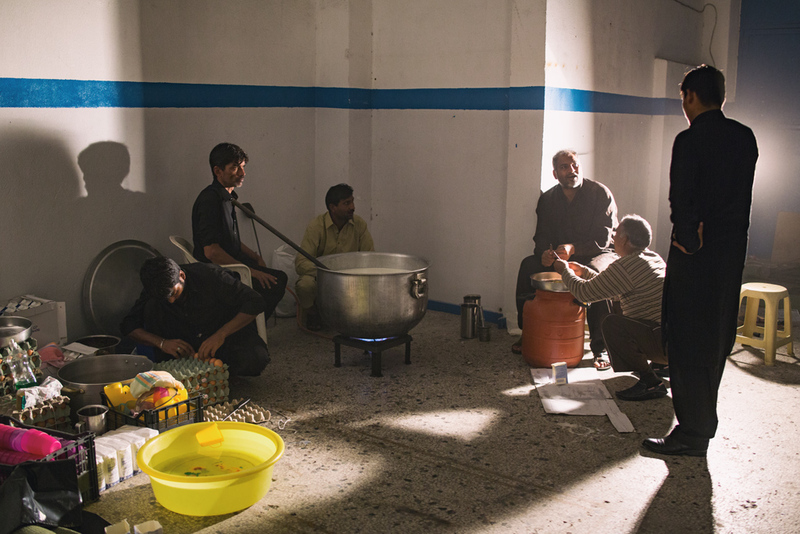 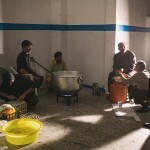 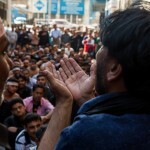 I arrived at the union, at the end of the 9th day of Muharram when preparations were made. 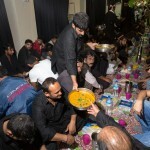 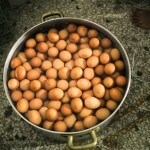 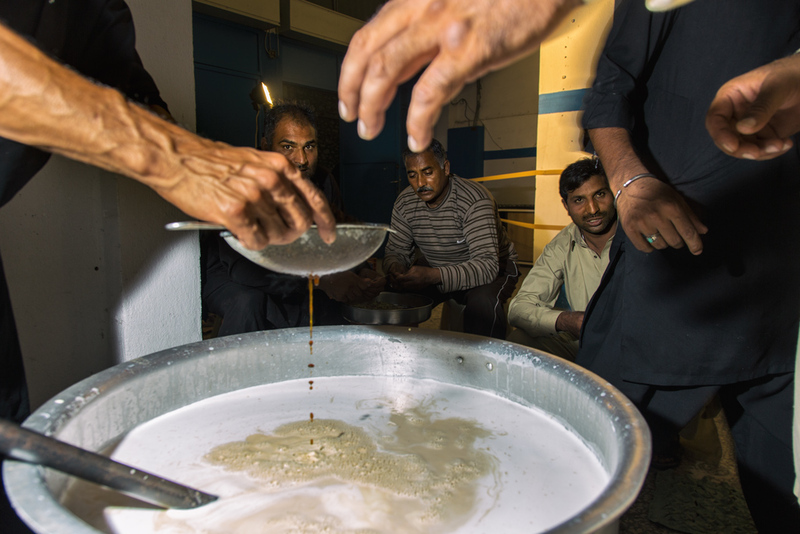 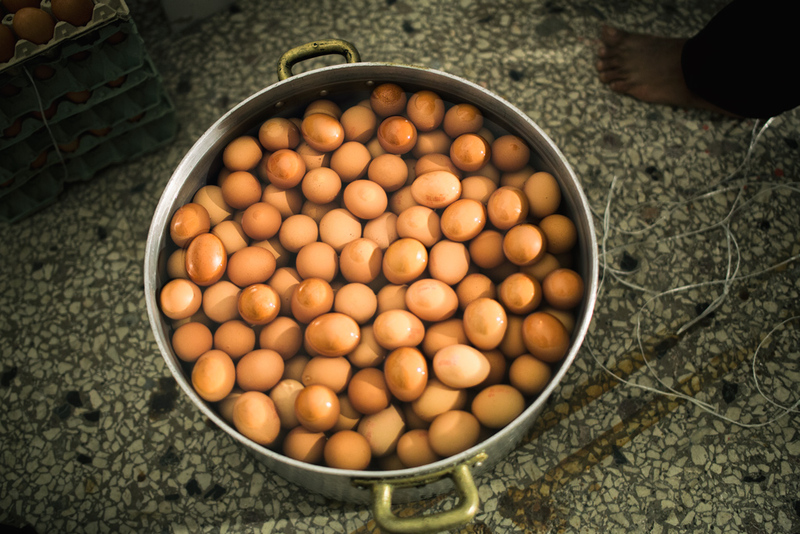 In one room, they were preparing some kind of tea with milk, oil from nuts, and herbs, also boiled eggs, while in the darker areas of the room, men were chanting. 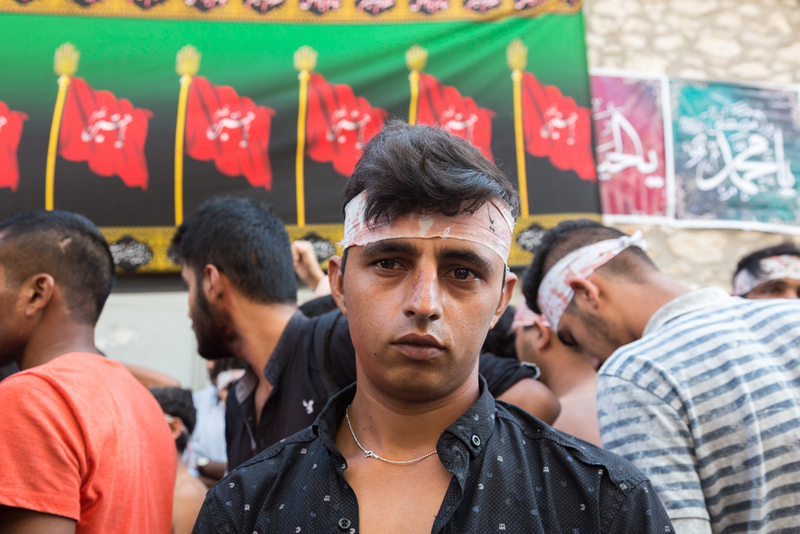 At the basement of the union, some men were telling stories from the battle or chants to the crowd, who was listening with sorrow, some of them crying. 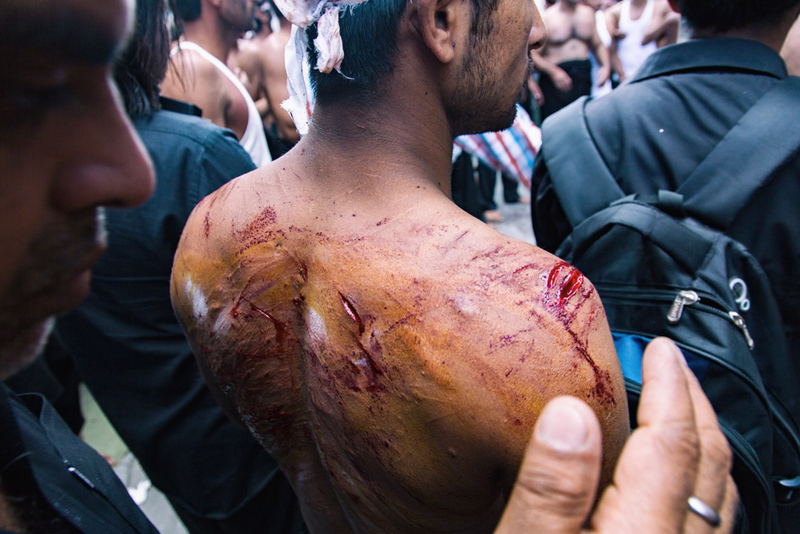 Between the stories, the crowd would stand up, and hit their naked chests with great power with their hands, until they bleed, while chanting loudly repeating some verses. 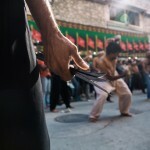 The sound of their hits was so loud that my ears were ringing. 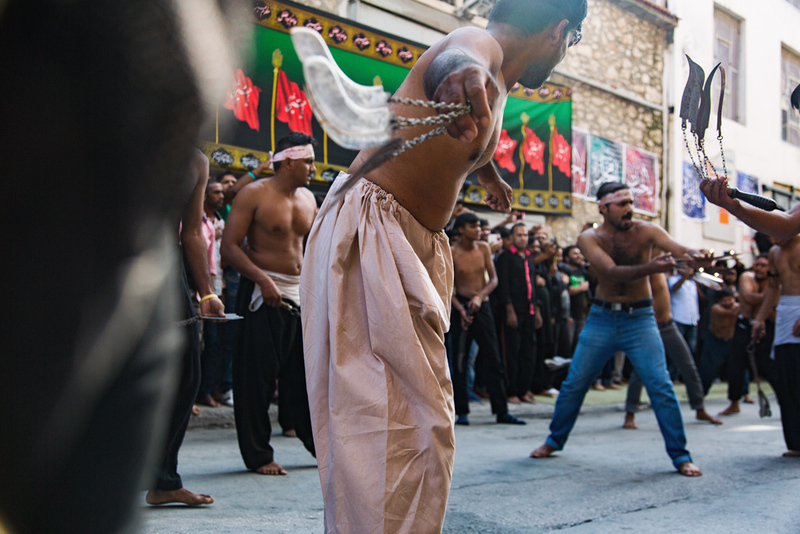 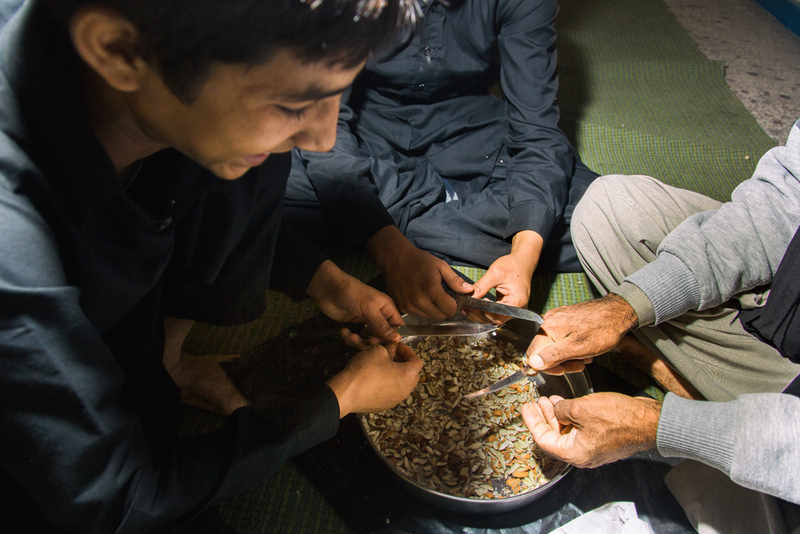 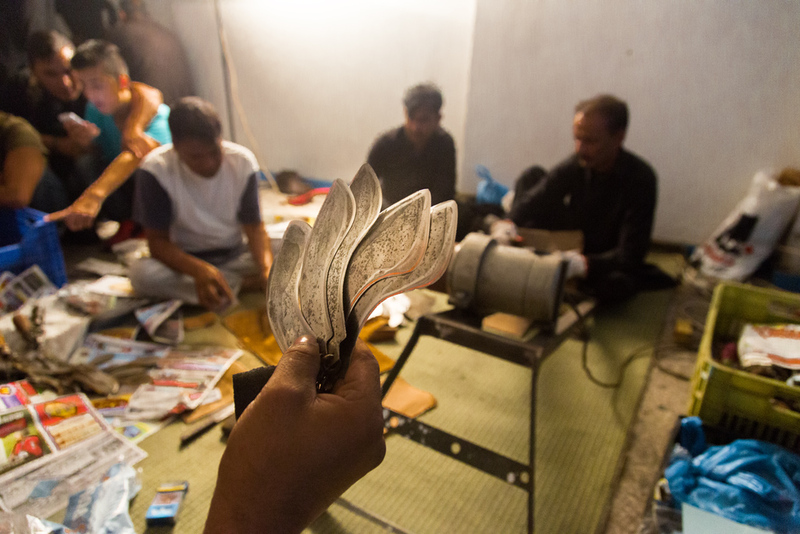 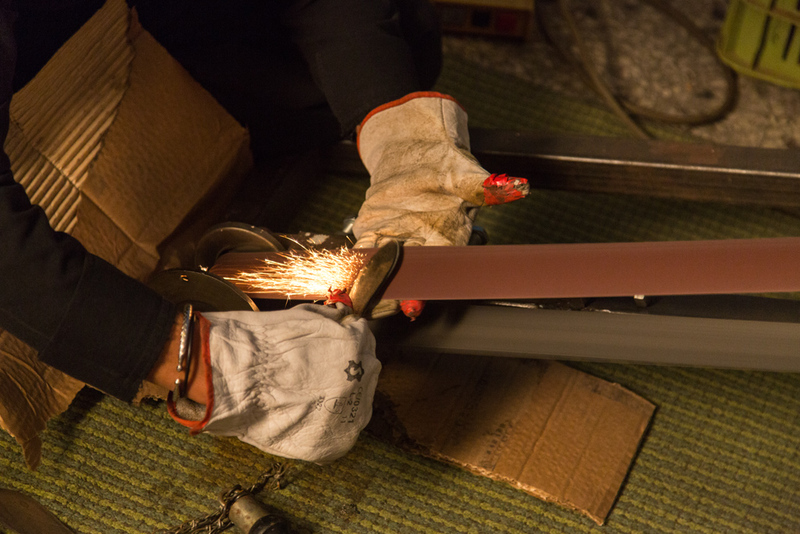 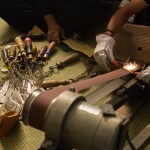 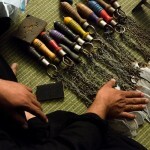 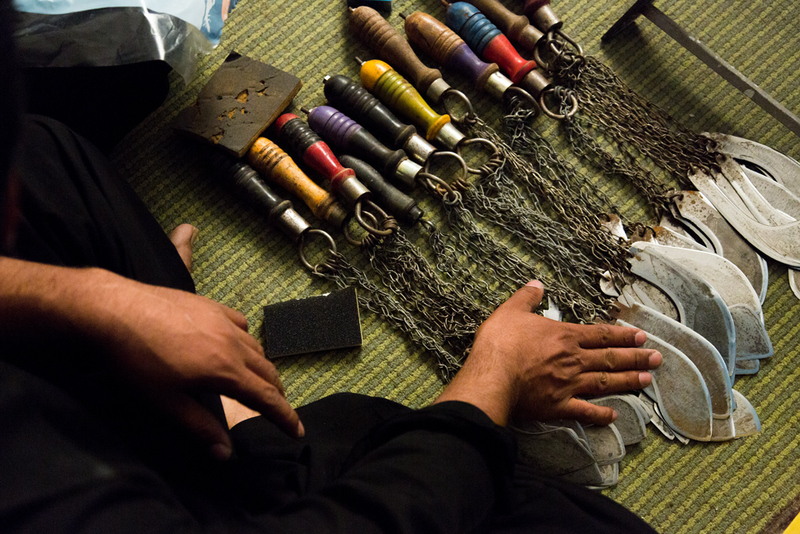 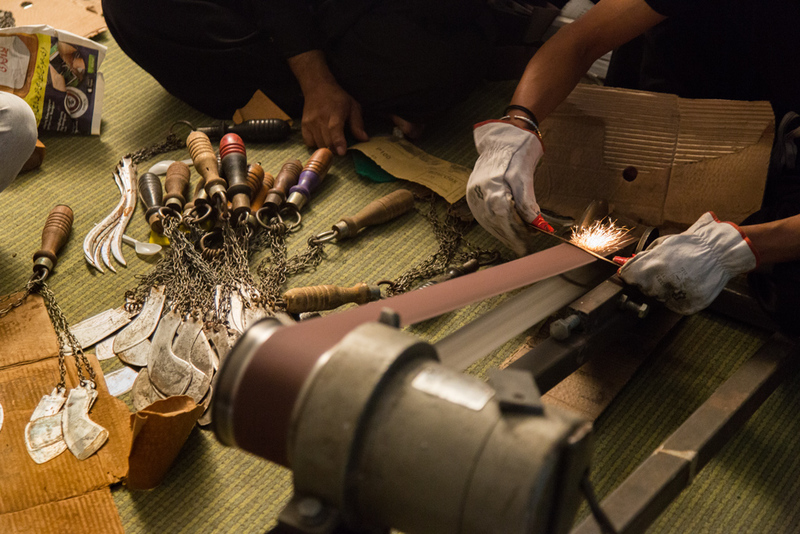 At the same time in another room, some men were sharpening the knives of the Zanjirs (chains with 5 blades at the end, symbolizing the members of the holy family), for the next days final ceremony. 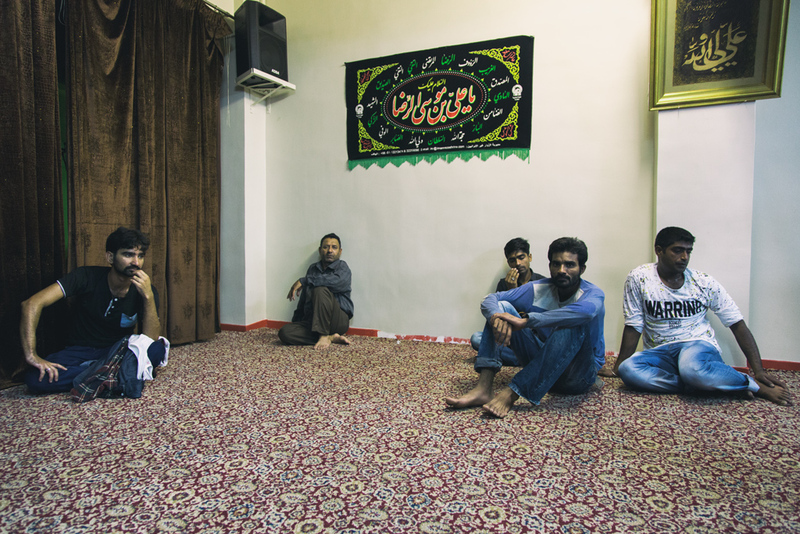 The next noon when i arrived, the Shiites that would take part in the ceremony were in the basement preparing, while outside many people came to attend, along with many reporters. 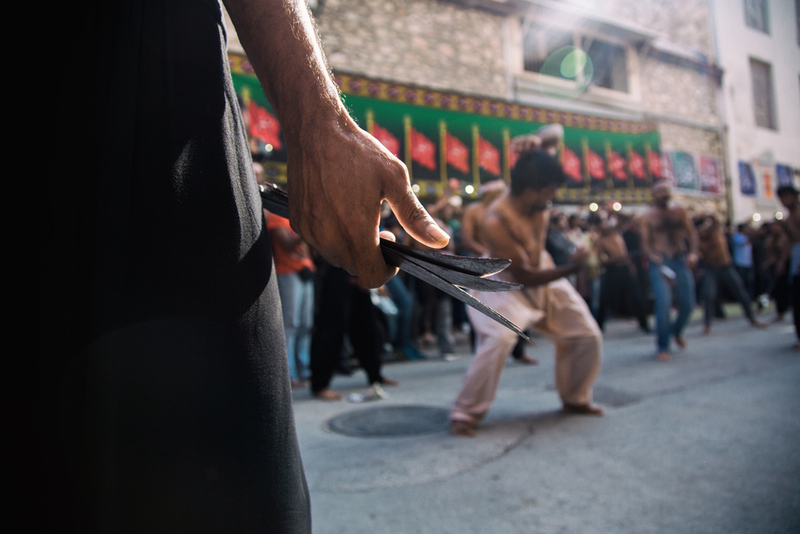 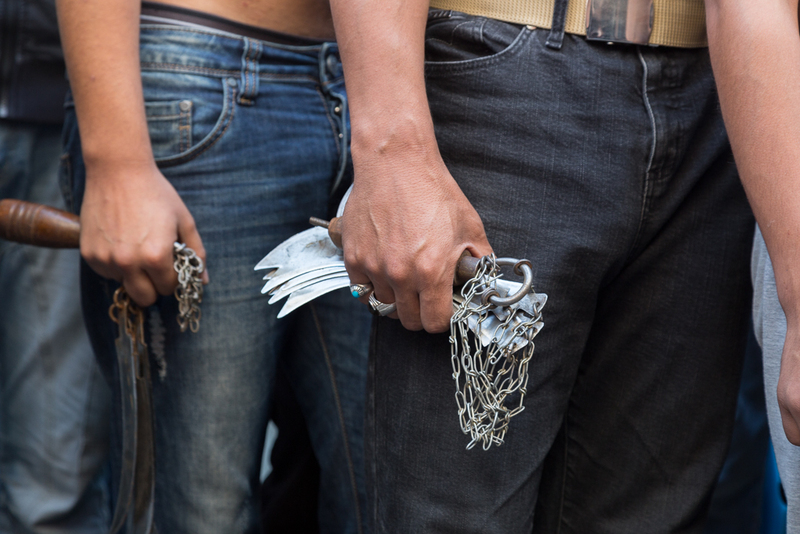 When men (and a few kids) came out of the basement to the street, holding their knives, the attenders went to the side of the little street, leaving space for the ceremony.Which started with the same men as the previous night telling stories and chants to the crowd, that was mourning and crying. 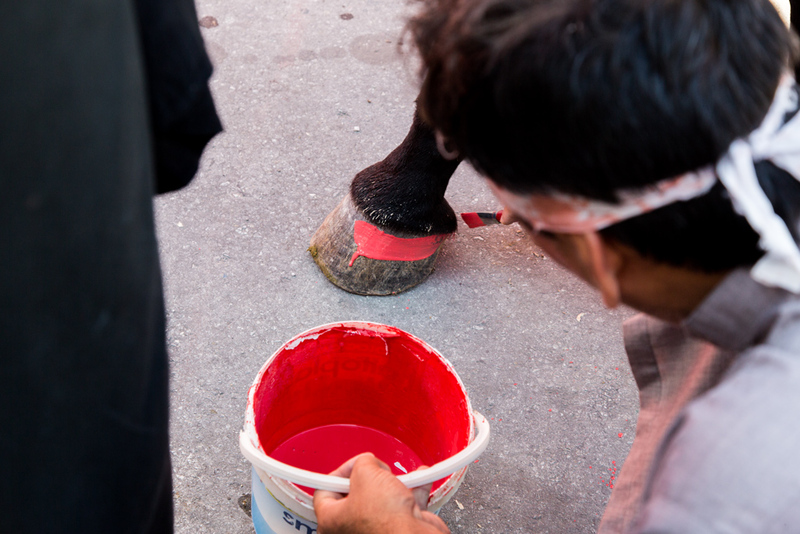 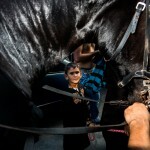 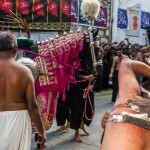 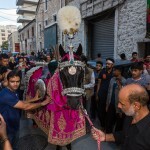 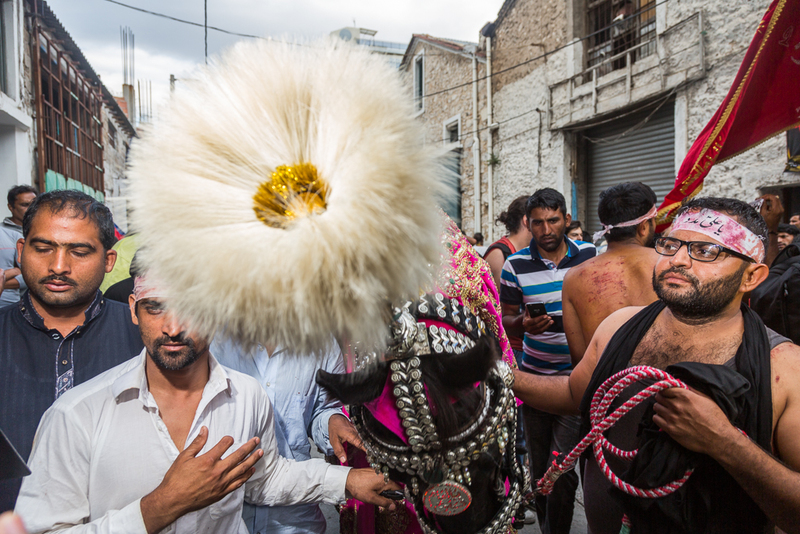 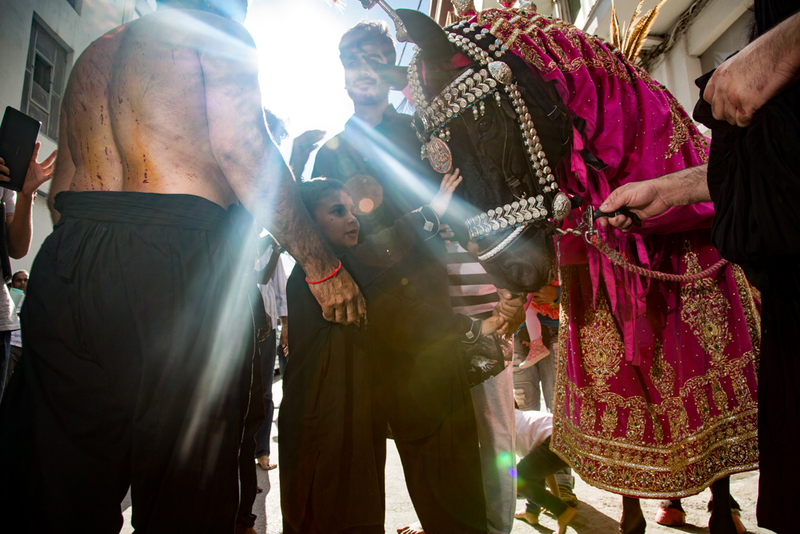 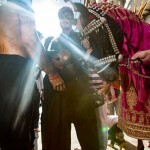 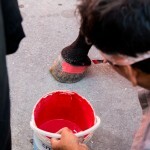 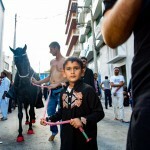 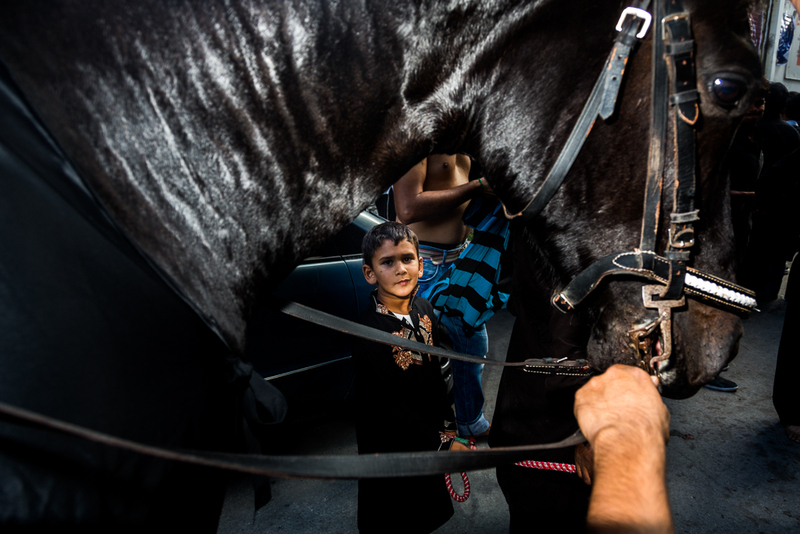 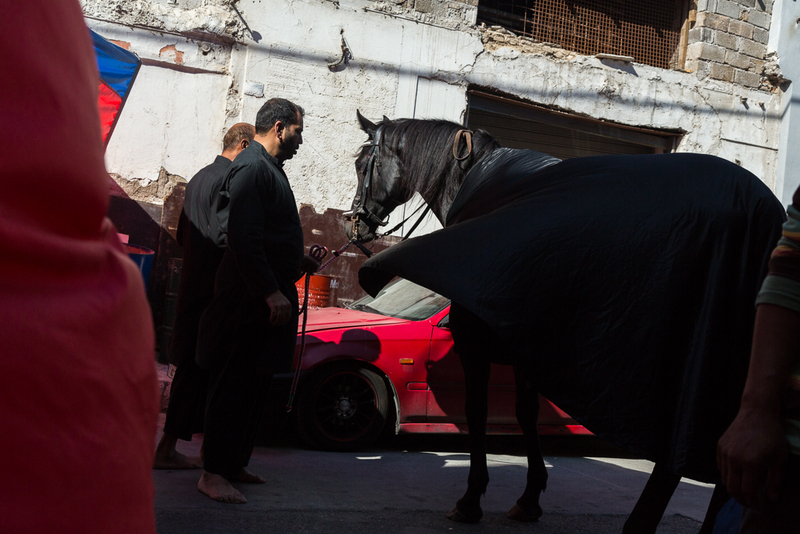 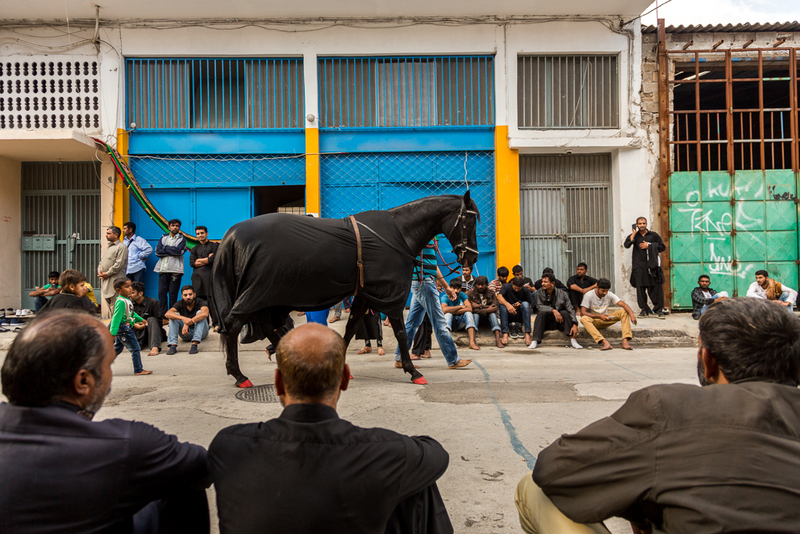 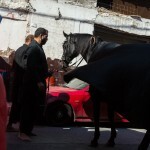 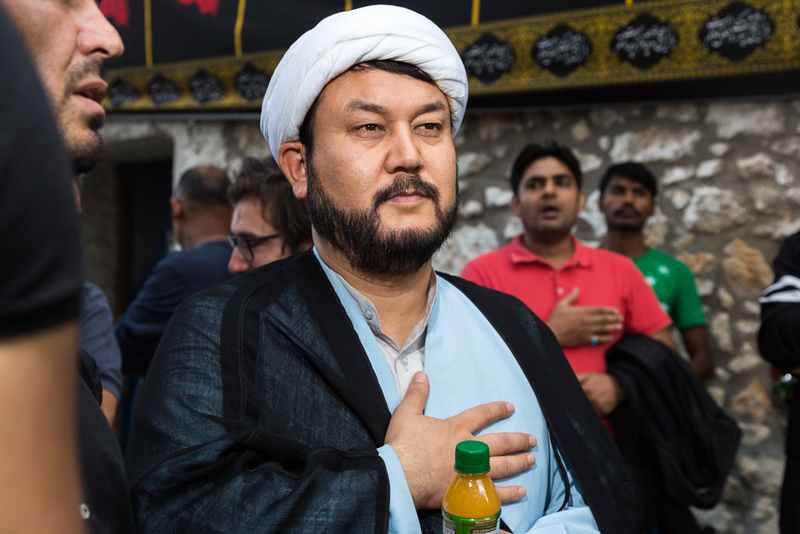 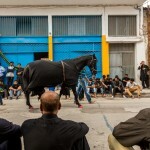 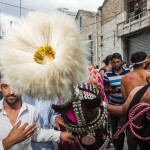 While behind a curtain, some other men were preparing and dressing up a black horse, that symbolizes the heroic horse of Husayn, which plays important role in the whole ceremony and its kind of sacred. 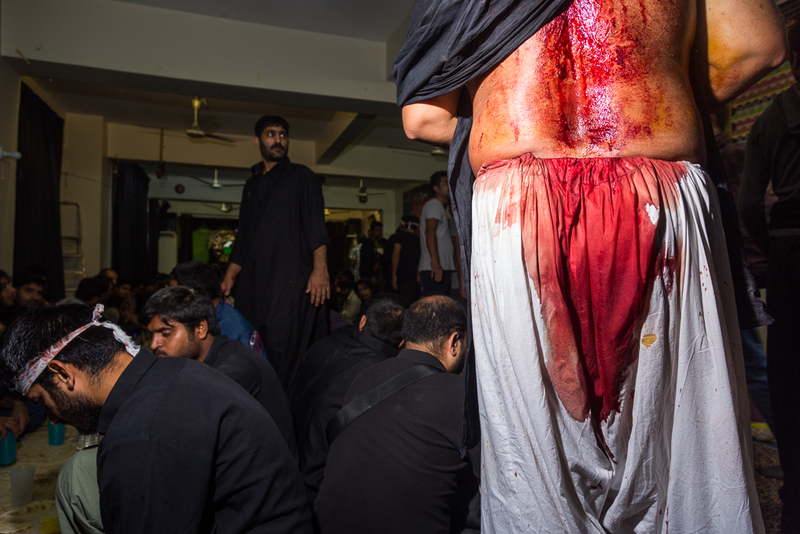 Meanwhile at the other side of the curtain, the speaches and chants were over and the bloody part of the ceremony begun. 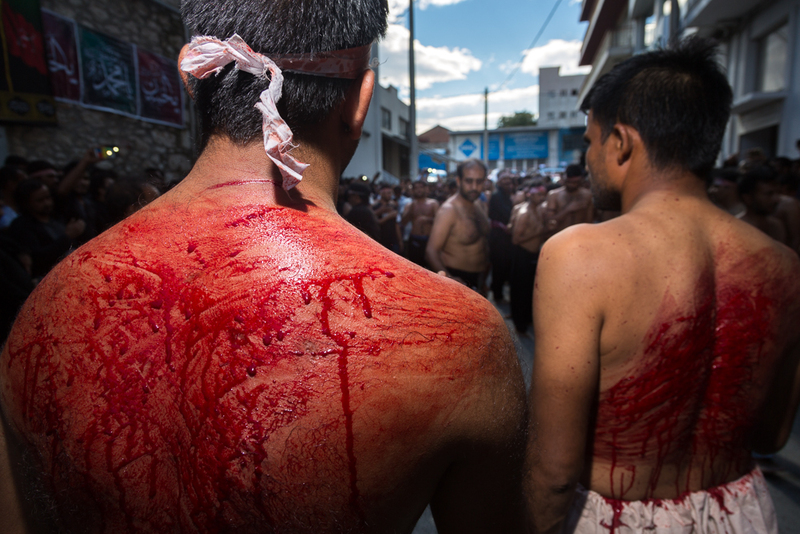 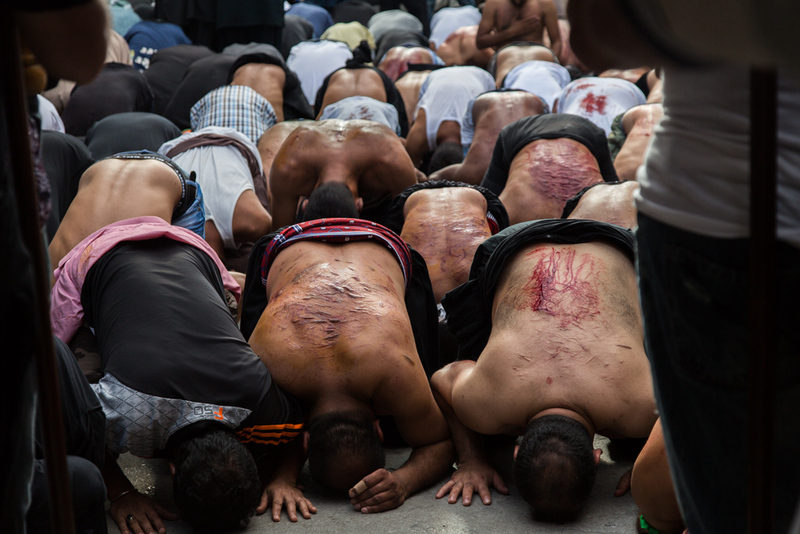 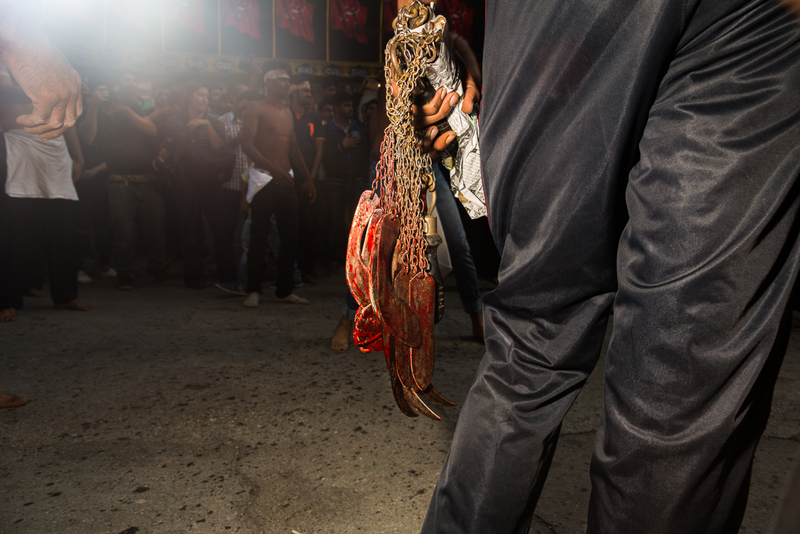 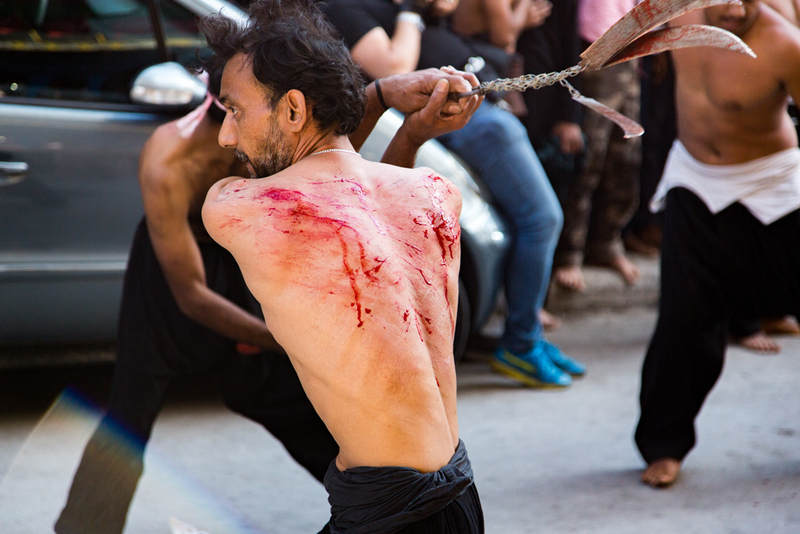 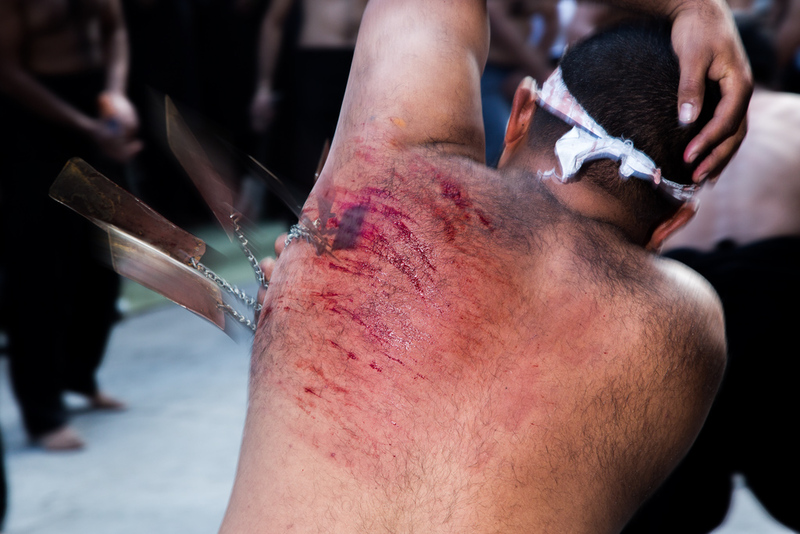 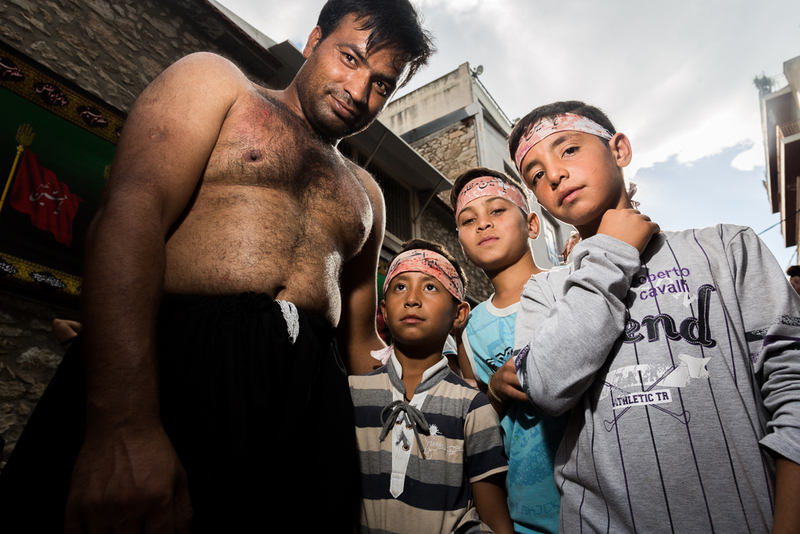 Men in trance, waving the Zanjirs in the air around them, landing them on their backs and arms, causing serious wounds to themselves, and lots of them had to go and stich them up immediately. 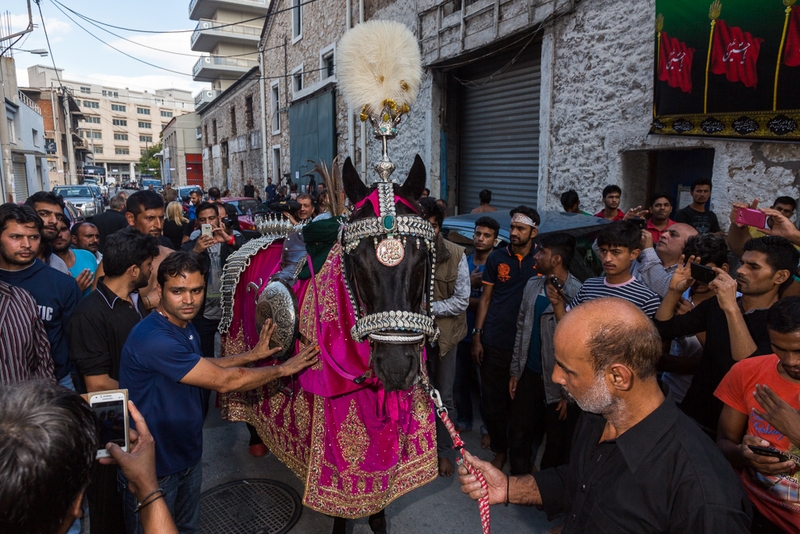 At the same time, the sacred horse was wondering around the crowd, where everyone -participants or not- wanted to make a picture with it, and touch it gently with respect.